And, CEZANNE'S PARROT (Putnam 2019) a picture book biography about artist Paul Cézanne, known as the father of modern art, who taught his pet parrot to say, “Cézanne is a great painter.” Brett Helquist will illustrate. Coming fall 2019! Amy is an illustrator, an award-winning painter and printmaker, and a writer for various publications, including Adirondack Life magazine. She currently teaches high school art in the Adirondacks, and is the founder of Via Verde School of Art in New York City. Amy is an education consultant for Mountain Lake PBS and several public schools in Northern New York. She writes grants for art based education and is a regular visiting author and artist at schools around New York State. Amy is a frequent visitor to story times at indie and national bookstores and a workshop presenter and speaker at festivals, museums, book fairs and libraries in the U.S. and internationally, including the Philadelphia Museum of Art and the Children’s Museum of Manhattan. She was a finalist for the 2014 Katherine Patterson Prize for Young Adult and Children's Writing. Represented by Stephen Barbara at InkWell Management. Amy lives on the Adirondack Coast of Lake Champlain and Costa Rica with her husband where she likes to do water sports just as long as she doesn't get her hair wet. 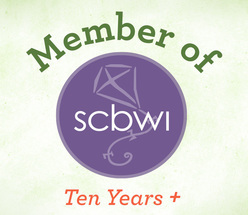 Memberships include: SCBWI, Authors Guild, AvantGuild, National Art Education Alliance and the Adirondack Artists Guild. Amy is the director of the The Depot Theatre Gallery in Westport, NY and serves on the board of Adirondack Art Association in Essex, NY and on the advisory board for the Saranac Review literary magazine. She is co-founder of ﻿Outside Art: The Plattsburgh Public Art Project﻿.